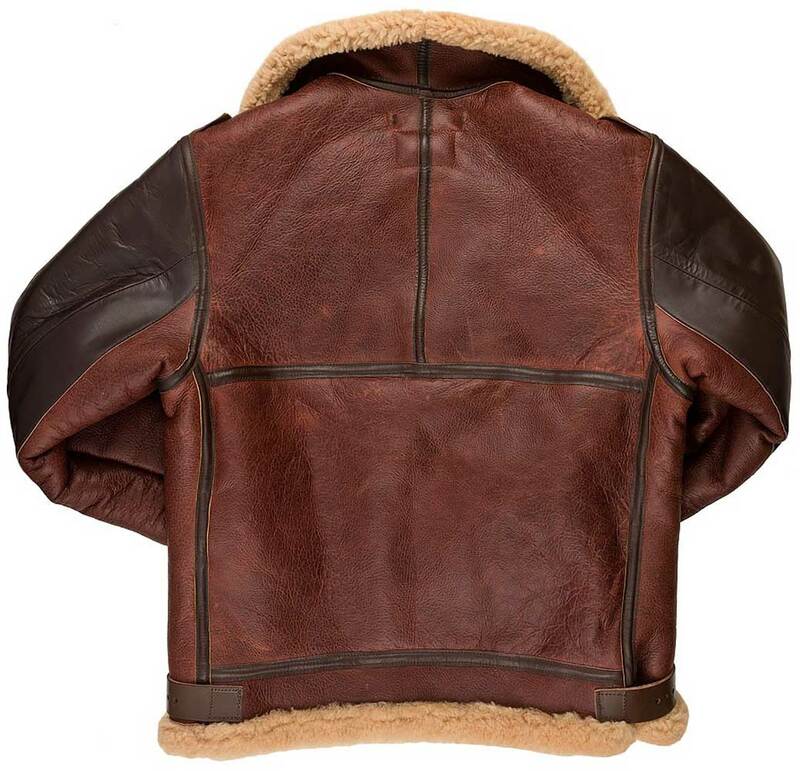 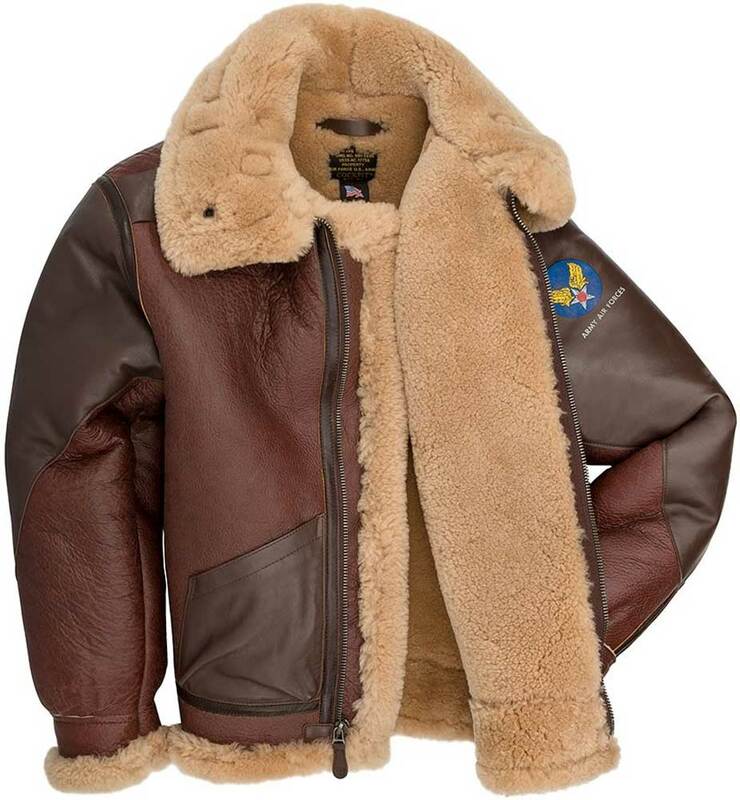 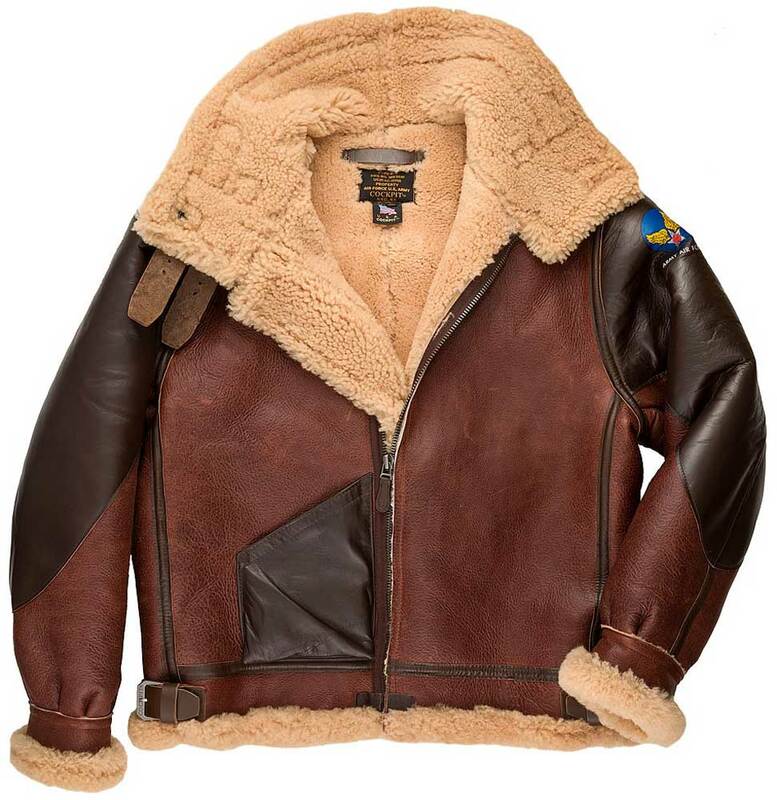 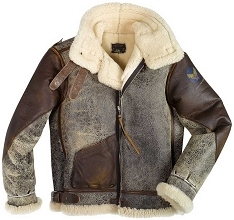 The ultimate collector's B-3 shearling flight jacket, patterned after the early 1942 issue russet colored jacket. 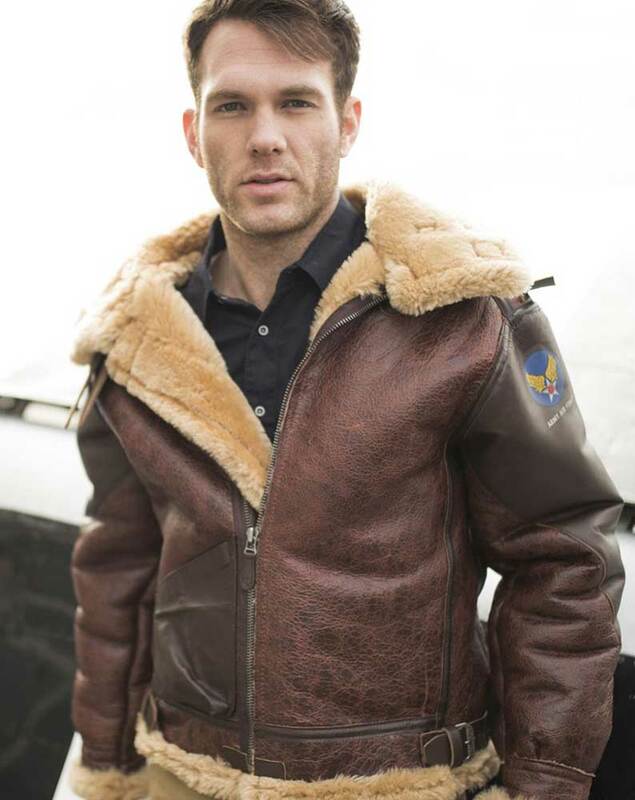 Each jacket is one of a kind - no two jackets are alike! 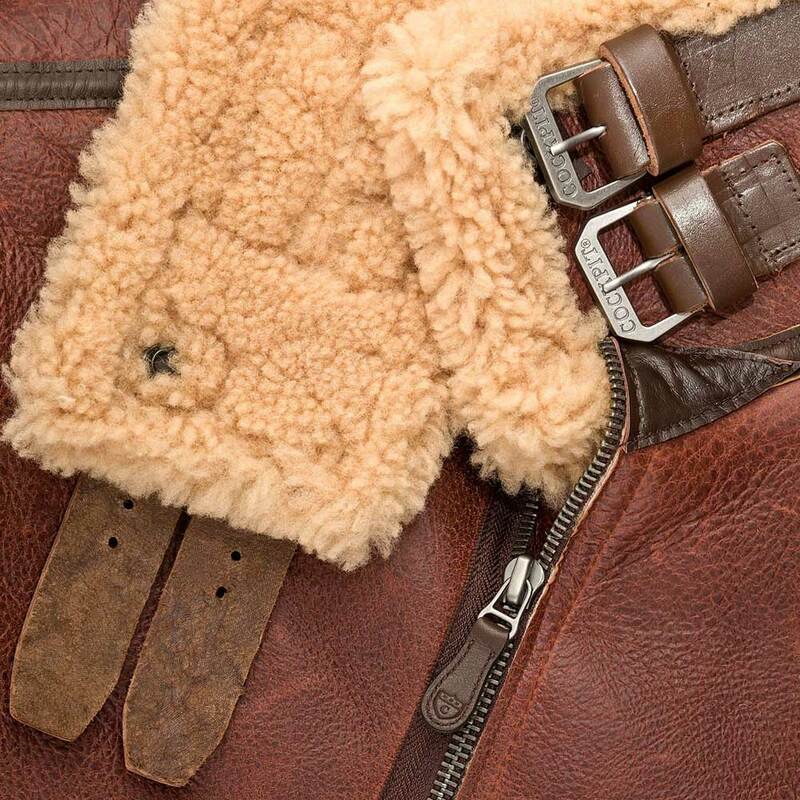 The antiqued shearling pelts are specially hand selected and matched for authentic vintage coloring. 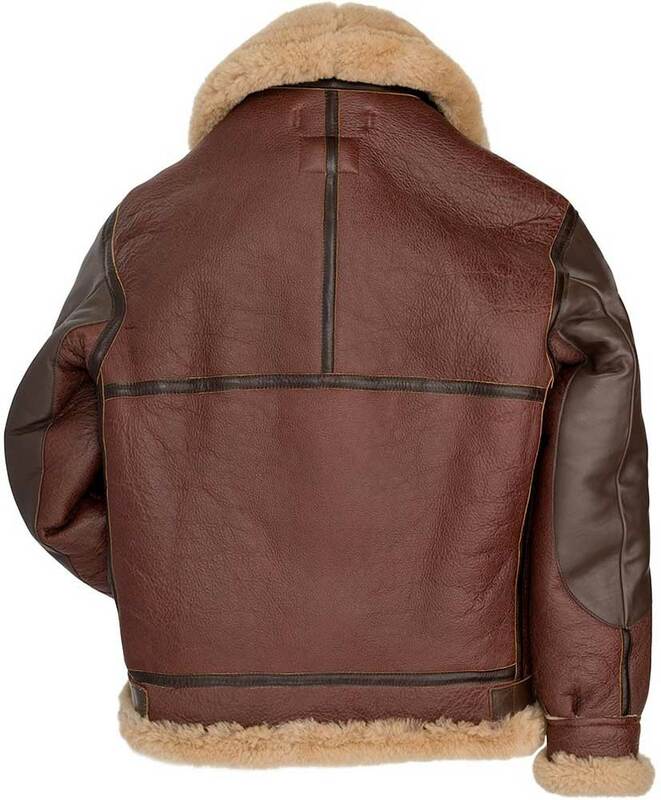 Their may be shading on the color just as in the original. 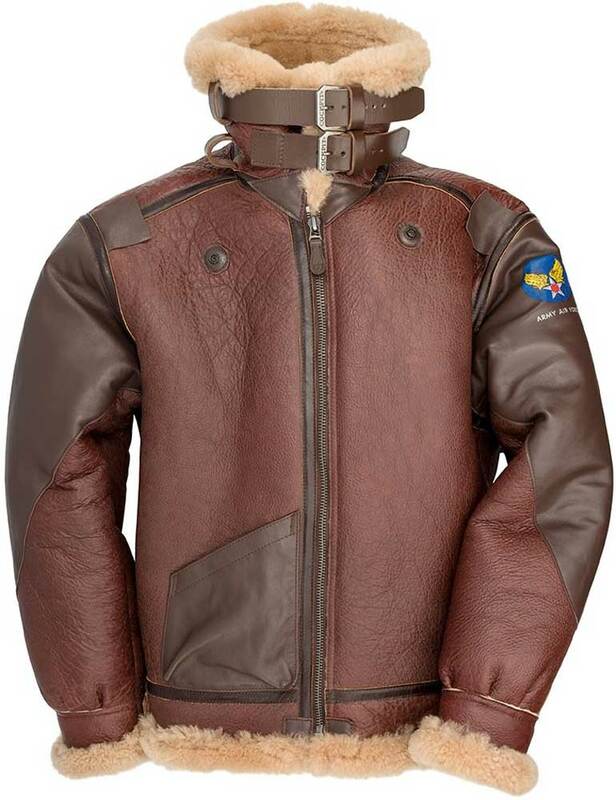 This historical jacket features the single horsehide front patch pocket, horsehide covered reinforced sleeves and shoulder tabs on which officers rank may be attached. 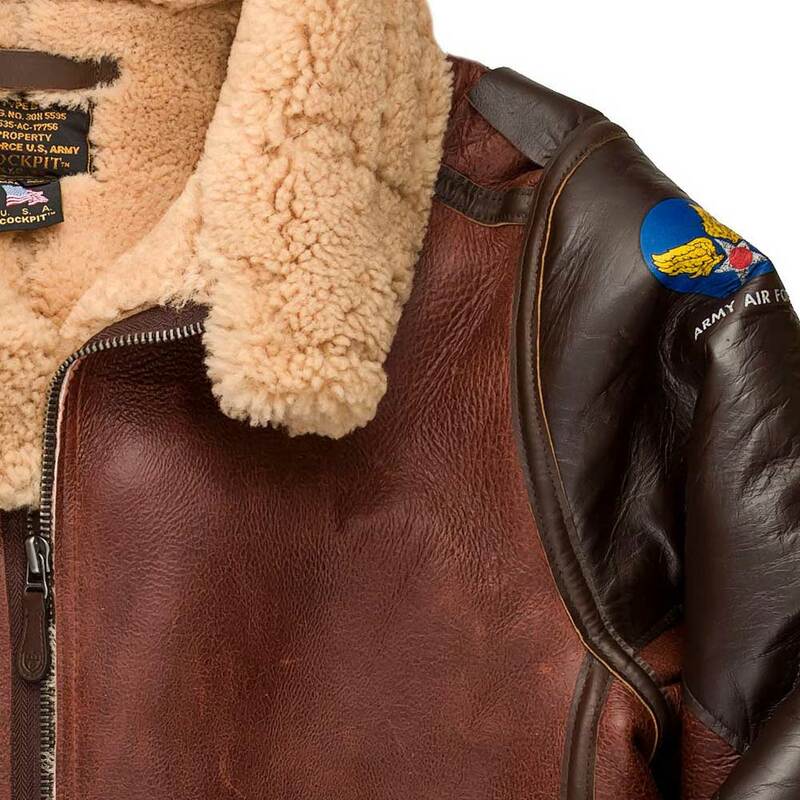 Also features WWII era Army Air Force decal on left sleeve. 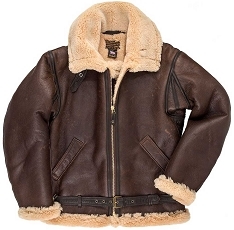 Vintage labeling and heavy latigo leather belting straps on each side of the waist and heavy belting straps around the snap down shearling collar (another original feature) that make this a classic must have.